BrewerBOND® T1100 Series Materials are a thermoplastic platform applied to the device as a conformal adhesive coating. BrewerBOND® C1300 Series Materials are a curable layer that, applied to the carrier, provides high melt flow, low temperature, and low-pressure bonding with no melt flow post-curing.  Together, these two layers enable mechanical stability with no movement and provide in-process thermal stability ≤ 400°C.